Pioneers in the industry, we offer cotton carry bags from India. 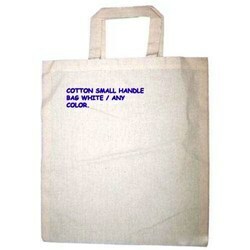 we offer cotton carry bags with handle in sizes 1`0" x 12", 12" x 14" 12" x 16" and any other sizes as per buyers requirements. Looking for BAGS AND POUCHES ?